Lauren is the owner/director of Nutrition Energy and combines her experience as a Clinical Nutritionist, Certified Diabetes Educator, Certified Sports Dietitian and athlete to lead the Nutrition Energy team. 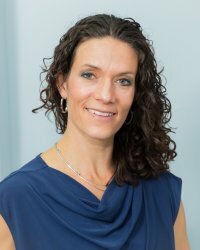 She provides comprehensive nutrition therapy and personalized nutrition planning for individuals. She also travels around New York and the country, leading nutrition clinics and lectures for a variety of small and large groups. Lauren has written for the New York Road Runners Club publications, presented on Sports Nutrition and Hydration at the TCS NYC Marathon expo and race week events, and is a member of the Gatorade Sports Science Institute sports nutrition network. She also consults for the New York City Chapter of the Leukemia and Lymphoma Society's Team In Training marathon, triathlon and cycling programs, the NYRR Team for Kids marathon team, the Galloway NYC marathon team and the Asphalt Green Triathlon Club. As an expert speaker, Lauren has presented nutrition clinics on diabetes, weight management, health and sports performance nutrition to the American College of Sports Medicine (ACSM), the Greater New York Dietetic Association (GNYDA), New York University Athletics, Columbia University Athletics, the New York Cornell Medical School, St. Johns University Athletics, and the New York Road Runners/ING NYC Marathon. She has also led nutrition lectures for the NIKE Running Club NYC, the MORE Marathon, the AVON Breast Cancer 3-Day, the TRILife Triathlon Team, the Chelsea Piers Sports Club, GSSI/Runners World, and the Terrier Tri Team. A well respected and nationally requested nutrition and fitness expert, Lauren is often contacted to consult with the media about the latest health and nutrition trends. 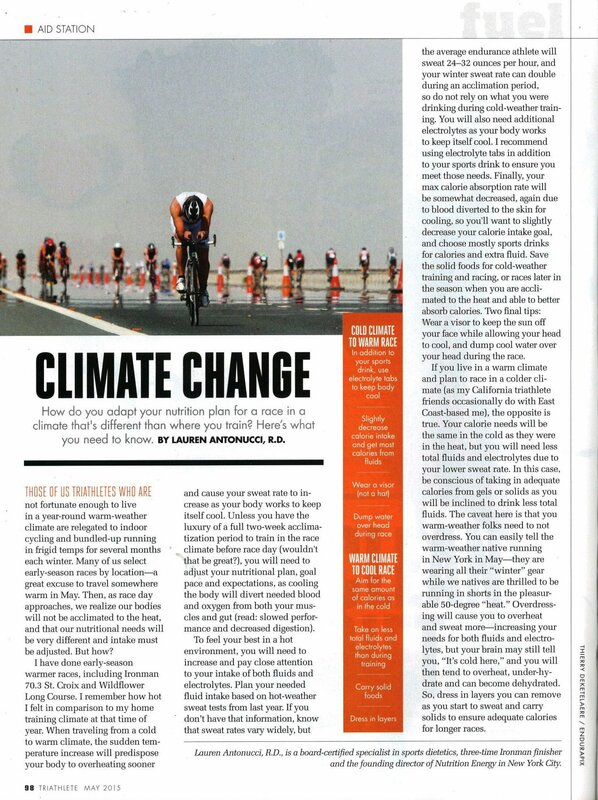 In addition to writing a monthly sports nutrition column for Triathlete Magazine for the past 3 years, Lauren has also been featured on ABC News segments with Dr. Sapna Parikh for her expertise in weight loss tips (January 2013), food myths (February 2013) and obesity prevention (October 2013). She was highlighted on Channel One News with Jessica Kumari (November 12, 2008) for her long-distance running nutrition advice and training techniques for the ING New York City Marathon 2008. Lauren’s expertise has been shown on Weekend Today (NBC), where she addressed endurance training, stretching and sports performance nutrition. She has appeared with Solidad O'Brien, Jonas Schwartz and Cat Greenleaf in interviews to provide advice about sports nutrition, as an athlete and nutrition and fitness expert. 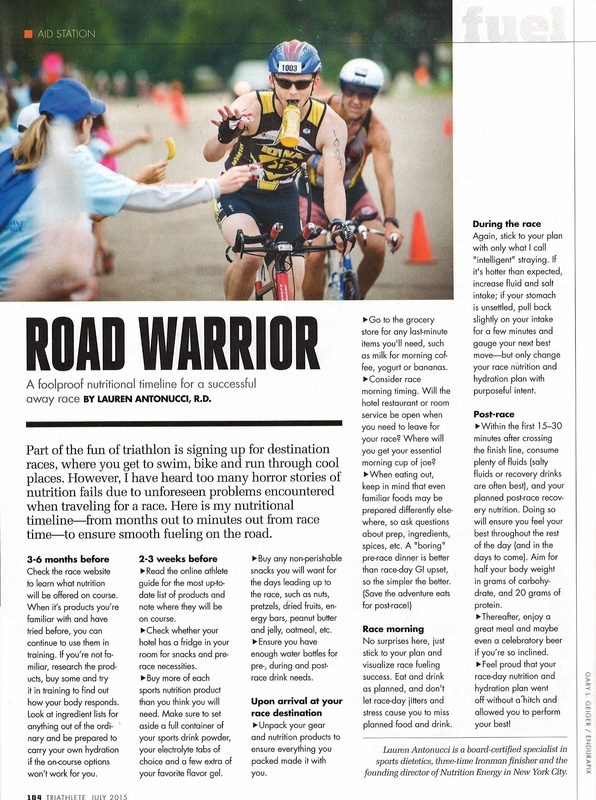 She was even highlighted on the Weather Channel,prior to the ING New York City Marathon 2008, to impart her nutrition advice for marathoners competing in various weather conditions. Her expertise starts with clear nutrition counseling and extends to more unusual experiences like the Empire State Building Run-Up 2009, at which she won the preliminary and provided nutrition and training advice to Cat Greenleaf. Lauren has served as a nutrition expert and writer for nationally-acclaimed magazines including Fitness, Her Sports, New York Runner and MetroSports, NY. 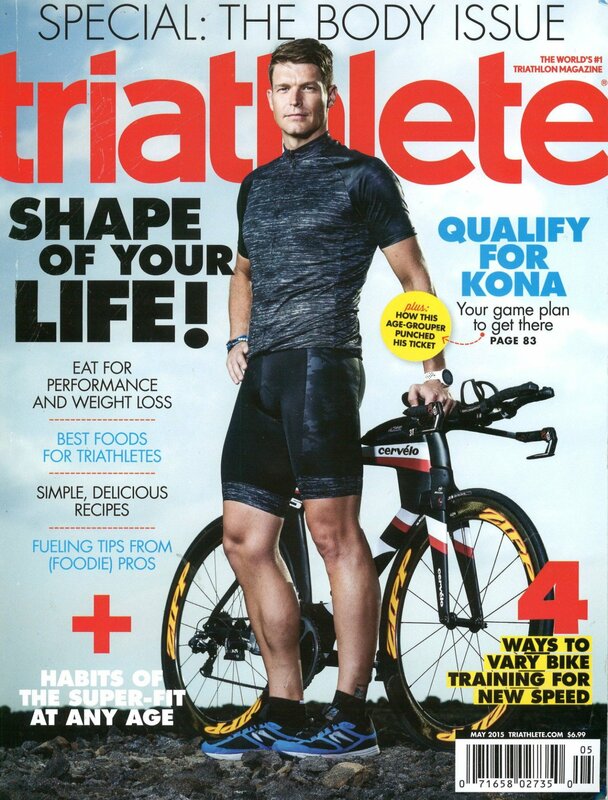 You can also find her nutrition advice in publications such as Time Out New York ,TONY Kids, the New York Times, Runner’s World, SELF and Diabetes Self-Management magazines, Gotham Magazine, as well as online at Active.com, HerSports and IronmanLive.com. 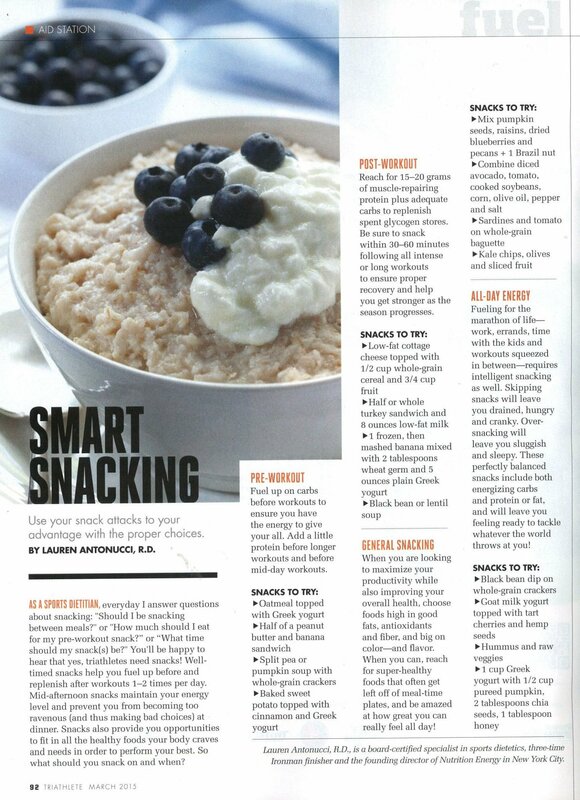 Lauren also served as a nutrition expert for the SELF weight loss challenge forum and the NYRR online marathon forum. 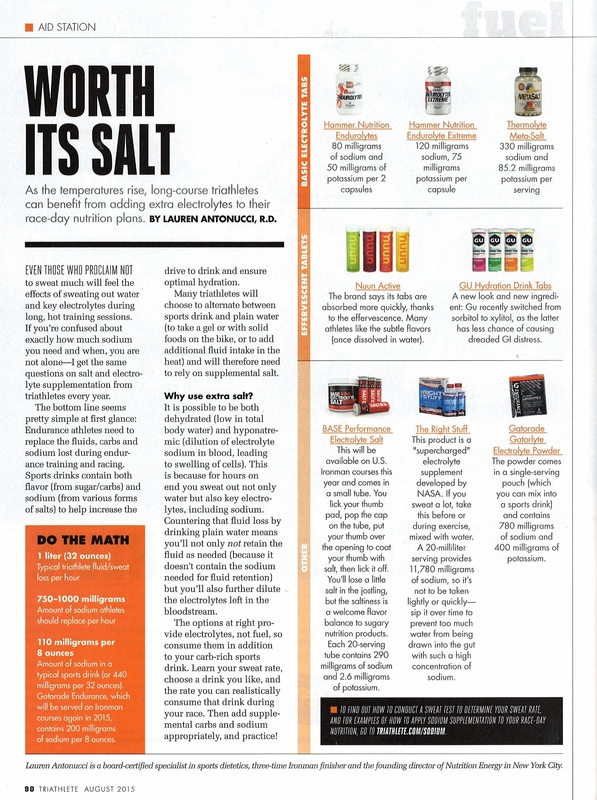 Lauren's sports nutrition advice is highlighted in the New York Road Runners-sponsored book, the Complete Book of Running and Fitness. 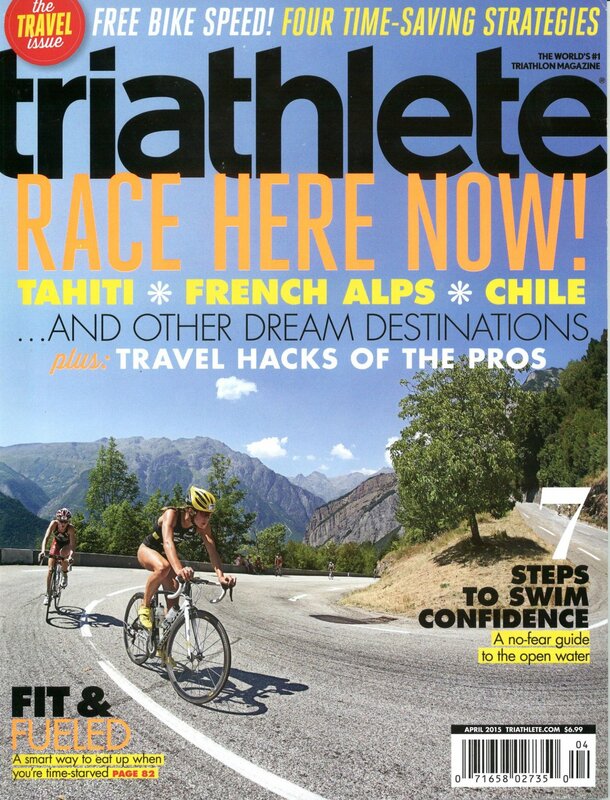 In addition to in-depth nutrition information and healthy recipes, the latest edition includes advice on motivation, training techniques and exercises. Published in numerous articles regarding nutritional topics from diabetes to weight loss during training to the health benefits of chocolate, Lauren is accustomed to being asked for her healthy eating and living advice. Prior to opening Nutrition Energy, Lauren worked as a Clinical Nutritionist and Diabetes Nutrition Educator for five years at the New York Presbyterian Hospital. An avid runner and triathlete, Lauren has completed thirteen marathons, including New York and Boston and numerous triathlons, including Ironman USA, Lake Placid, Ironman Utah and Ironman Wisconsin. Lauren and her husband have twice embarked on a Tour de France cycling adventure and enjoy traveling and exploring with their sons, Cooper and Ryder, their daughter Mia, and their dog, Digby. They like to go wherever their athletic endeavors, good food and fitness take them. "Diets" do not work, and there is no magic pill or cookie-cutter plan that works for everyone. By focusing on the positive aspects of nutrition for health management, weight control and athletic performance, and by making good food choices an accessible part of daily life, Lauren will help you to achieve your goals without deprivation or the elimination of entire food groups. All foods can fit into a healthy lifestyle and meal plan, including fresh fruit, carrots, grilled chicken, whole grains, ice cream, chocolate or your personal favorite treat. My energy level remains high, and my defense system seems to be rocking: I haven’t had any flus, major colds, or other stuff for quite some time. A quick food story: This year, I made cranberry chutney from an old NYT recipe—one of our Thanksgiving staples. It’s totally delicious—tart and colorful—but it calls for a cup each of orange juice and honey. I never put in that much honey, but this year, I dispensed with both ingredients. No one complained, and….my two and a half year old grandson loved it, demanding more!" "Thank you for helping me get over the finish line at IM Maryland. It was a crazy day where the swim was canceled, the bike shortened and the run flooded but still a great experience. I couldn't have gotten through all the training, 1/2 IM's and the day without all of your advice and support. Thank you-you're a rock star. 2017 brings a few 1/2 IM's and the NYC marathon so I know I'll see you soon! Thanks again for everything. You were a crucial piece of the puzzle!" "I had to email you and tell you a very very BIG THANK YOU! Yesterday was amazing! I finished the marathon in 3:56:09. A lot of this is because of you! The salt/ maple syrup combo worked perfectly! I cannot even count how many times during the race I heard people say they needed salt. My friends on the side line actually started handing out my leftover salt and pretzels to other runners after I passed! Thank you seriously so much again! See you soon!" 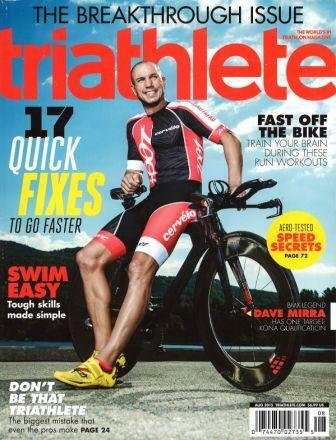 "I just wanted to thank you for your help with my nutrition leading up to and during my race. 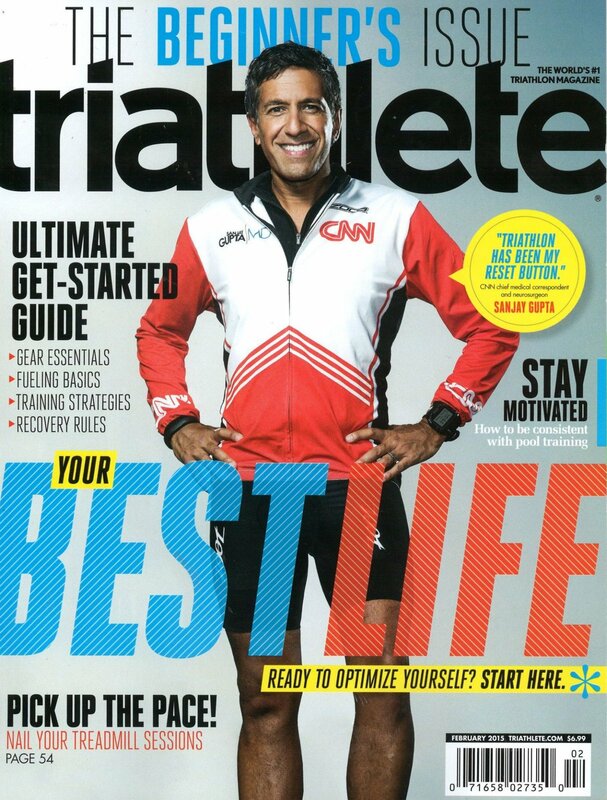 You have been an integral part of my success and enjoyment of being a marathon runner and a triathlete." "I treat many endurance athletes, and I always feel comfortable referring them to Lauren’s office. She has diverse knowledge in her field, from counseling athletes on their training diets and race day preparation, to handling diabetes, gastrointestinal problems and weight-loss. 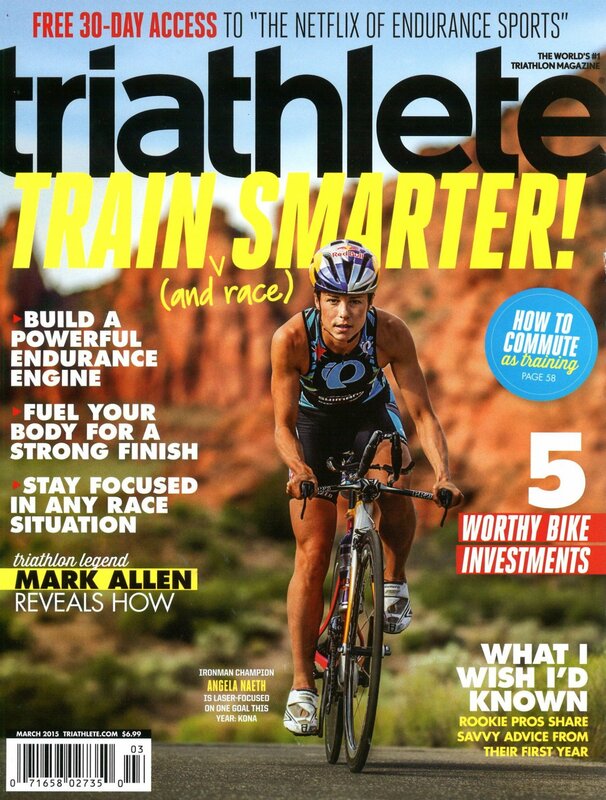 And she has the knowledge and experience in sports nutrition on a personal level, being a college runner and continuing to compete since then in running and triathlon." "For example, athletes and patients really value how she helps them simplify the task of determining how many calories are necessary for both finishing races feeling good and also for having energy for everyday living." 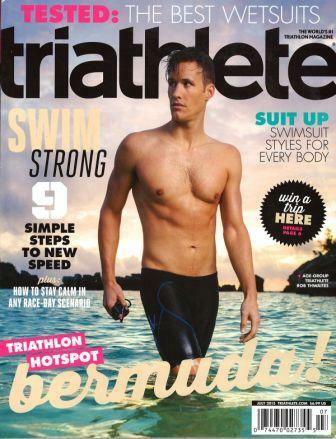 "Lauren is not only a great sports nutritionist for my patients, she helped me with my own Triathlon nutrition as well. Thanks to her, I beat my brother." "The customized plan Lauren took the time to create has enhanced my training. I've felt more energy plus my mood has improved." "I am happy to report that I have gotten down to 127.5lb, (? better to say "my goal weight") and that Dr. Meyer is happy with my recent lab results. I am thrilled, and will continue to follow your recommendations ...You have changed my life, and I am grateful.I will check in for a follow- up in the Fall." 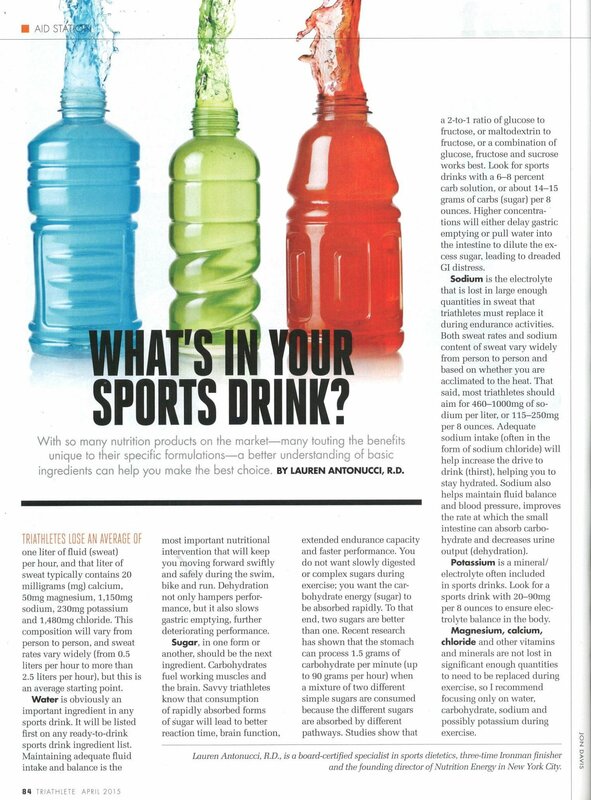 "A Foolproof Intake for A Successful Race"
"What's In Your Sports Drink?" 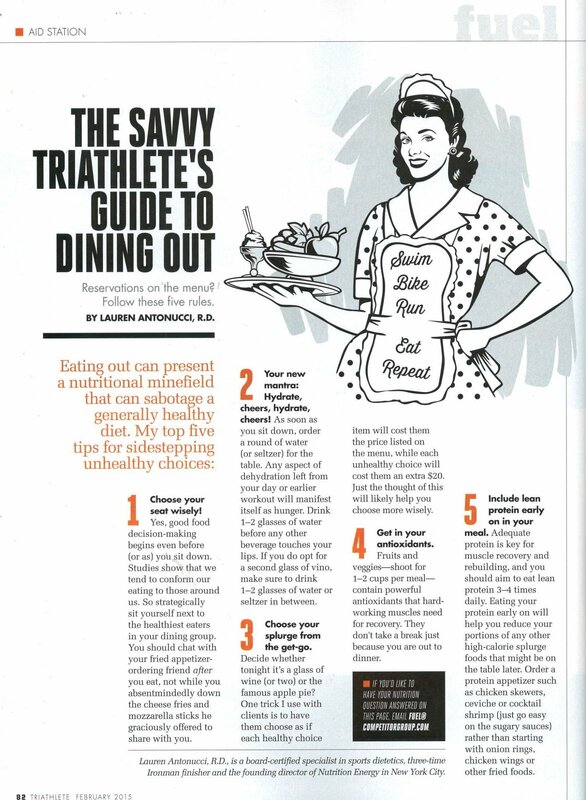 "Triathlete's Guide to Dining Out"